Longstanding fan of the Vintage Village and founder of the much missed VintageManchester.com, Susie has apparently been desperate to do another turn for us as Finder of the Fair (see her first go here, back in July 2011). 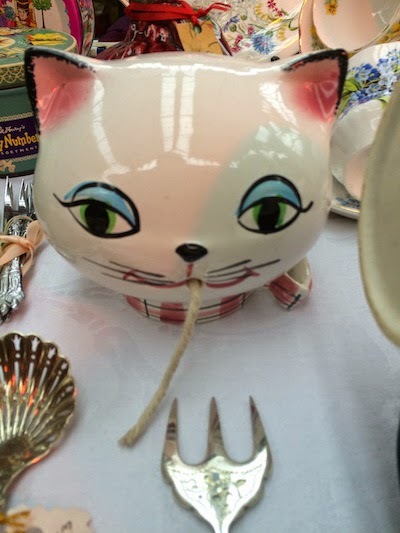 Her blog Old Fashioned Susie is a place to visit to see how vintage living can work in a modern everyday life. 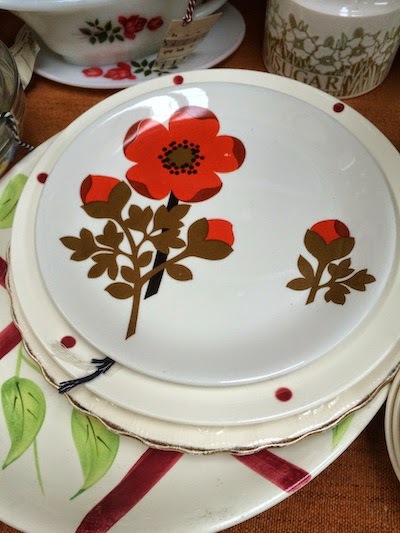 I saw this poppy plate and wanted to include it as it was Remembrance Weekend – and Armistice day on Tuesday- the poppy being the chosen symbol of respect. 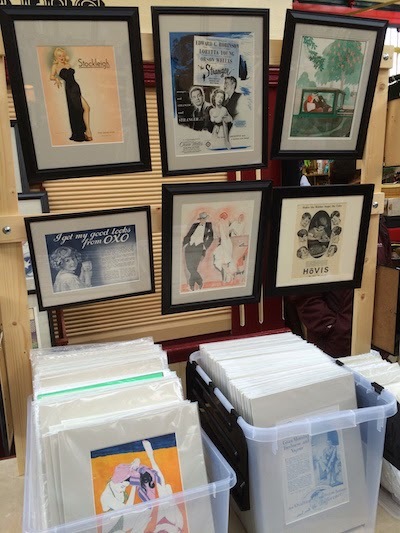 This entrepreneurial chap had loads of fantastic, original vintage adverts and images for sale, mounted or framed, taking the hard work away from you. I know I’ve got a pile of images I need to do this exact thing to. 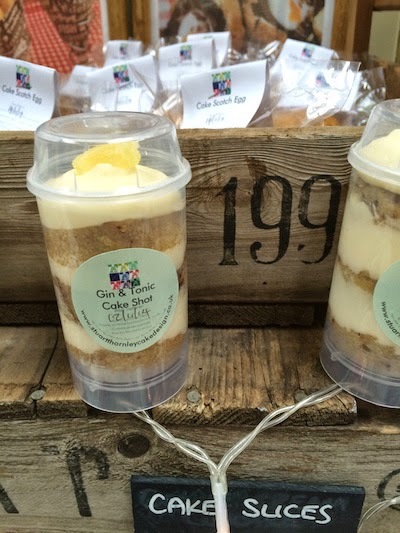 “What an excellent name for a stall” was my first thought. 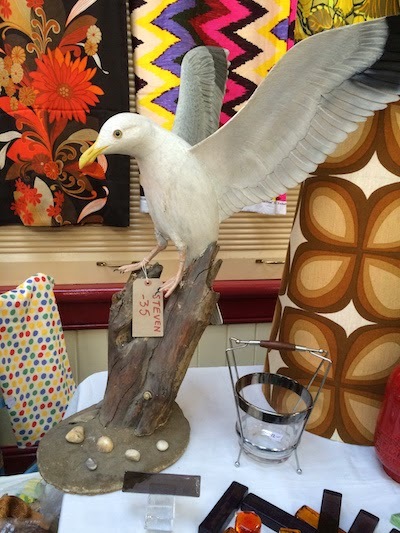 My second thought was “I’ve got one of those!” These Howard Holt 50s pieces seem to be one of those items that all vintage fanatics have in their homes: they’re practical and pretty - my favourite combination. 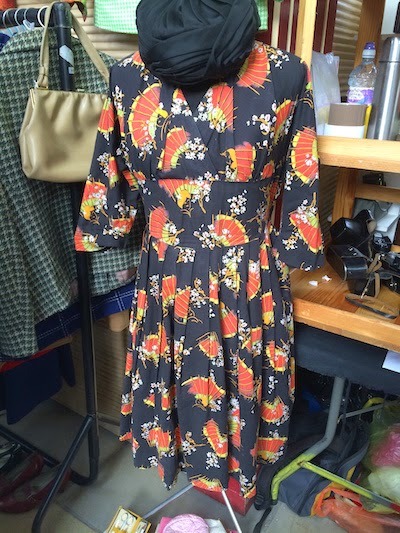 This was £10.00 - I’ve seen them for double that price so it was a very reasonable amount to get something that is a vintage ‘must have’. 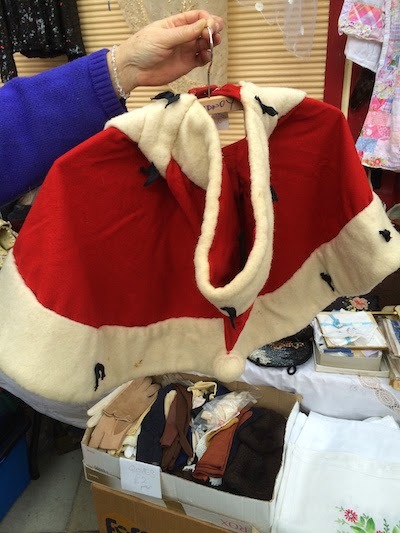 Diana had loads of goodies on her stall for amazingly affordable prices. 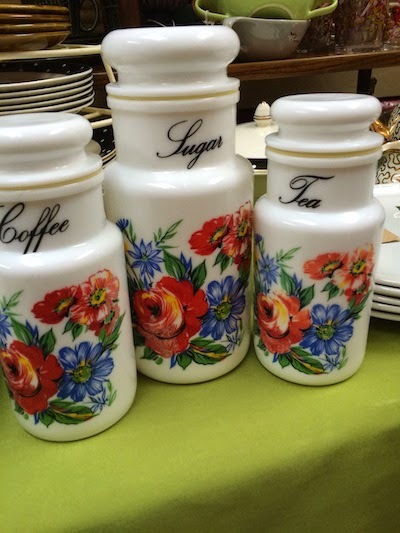 I found these canisters which she told me are Italian. They were £1 each so I bought them - it would have been a crime to leave them behind, plus they are going to look great in my kitchen when it’s renovated. The incredible Matt and Annabel of Vintage 78 DJs fame have so many strings to their vintage bows - another that I hadn’t know about before is candle making. 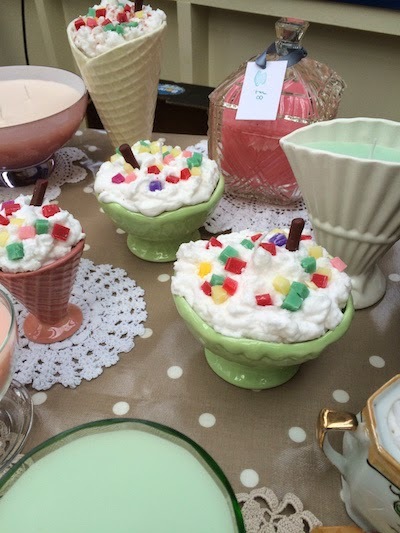 These candles are different to the regular teacup candles and have a great retro diner feel. What took us so long to invite you back, Old Fashioned Susie? Honestly, you really are very good at this indeed, thank you! This was the first time I’d seen this particular stall and it was a refreshingly masculine change from the pretty pastels and florals that often seem to saturate the vintage scene. The newly coined term ‘mantiques’ even came to mind, and I could picture many of the items on this stall inside somewhere like The Addams Family home. 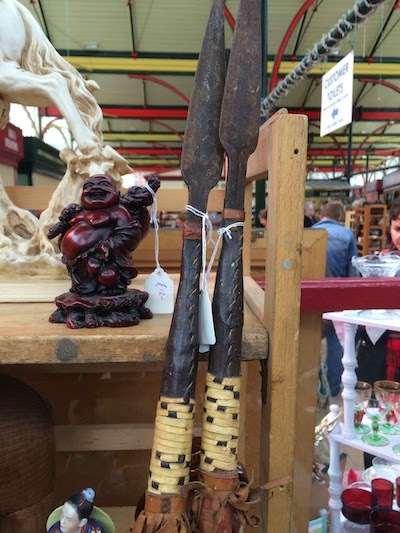 Especially these Assegai spears from a Zulu tribe - these would look perfectly appropriate mounted above Gomez Addams’ fireplace. 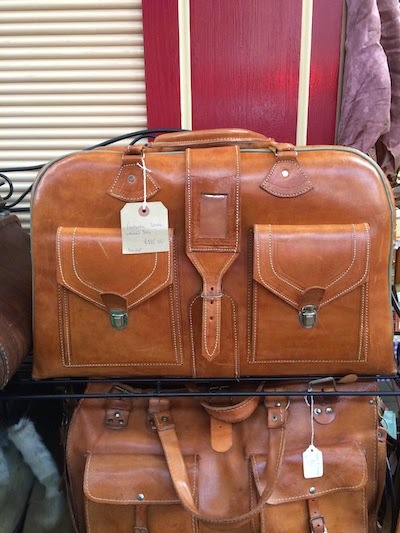 I saw this leather holdall and immediately pictured Robert Redford in The Sting from 1973. It was in tip top condition (probably unused) and so well made. It would make an excellent gift for the gent for Christmas. I don’t think this needs an explanation as to why I included it! GIN!! 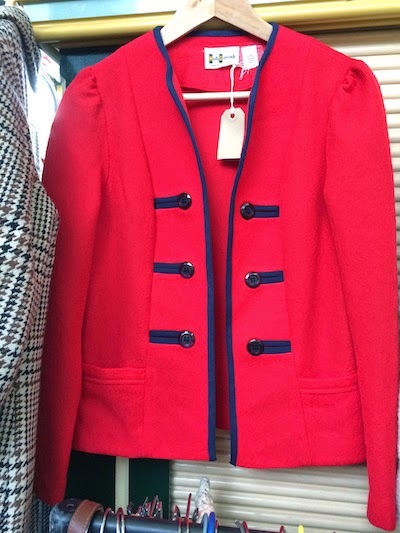 This little red jacket caught my eye - I could picture slipping it on for Christmas Day festivities with a cheesy festive brooch of some sort. All the way from the USA, the brand is Marty Gutmacher. Wayne always has a very busy stall, and today was no exception. 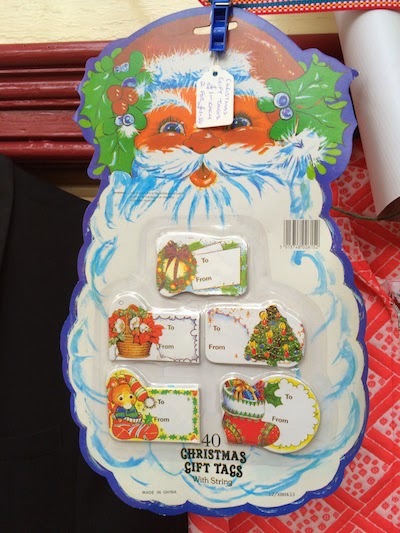 I spotted these deadstock Christmas gift tags at £1.00 each or two for £1.50. I think that’s cheaper than buying them new! !